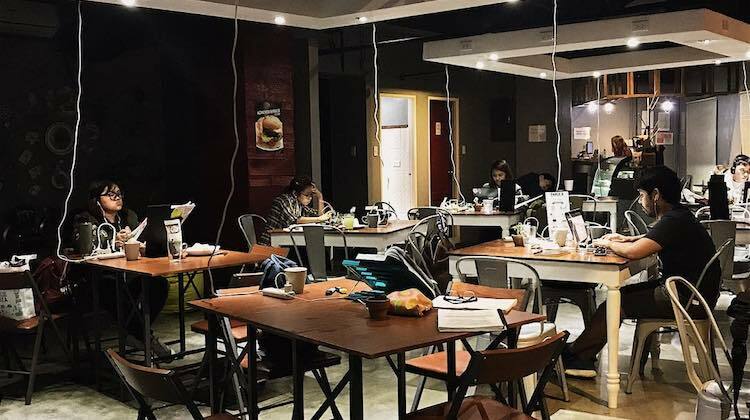 Notes: The place is unlike a regular cafe since it has an hourly rate. Per hour costs 70 pesos and it comes with free wifi, coffee, juice, napping services, and power outlets. If you want to stay all day (12nn-7am), you pay 350. You can also print stuff, rent lockers, and use the shower for an extra fee. The place is quiet so you can do all the work you need. I suggest you go here only if you plan on working a few hours (without ordering food) or if you have to work from 12nn-7am-- to avoid the expensive bill.